To say that I love this brewery would be an understatement. Since I first had my first tasting of Hop Stoopid over two years ago, I've been pimping this brewery around as though I owned it myself. They're masters of the manipulation of hop profiles, and manage to get some of the most complex hop aromas and tastes on the planet. They've mastered IPA's in all of their forms, and I tell anyone who asks me for a good IPA to try anything Lagunita's has put out. Hop Stoopid, Maximus IPA, IPA, Lil Sumpin Sumpin, Lil Sumpin Sumpin Wild, and the Imperial Red Ale are all some of my favorites on the planet. 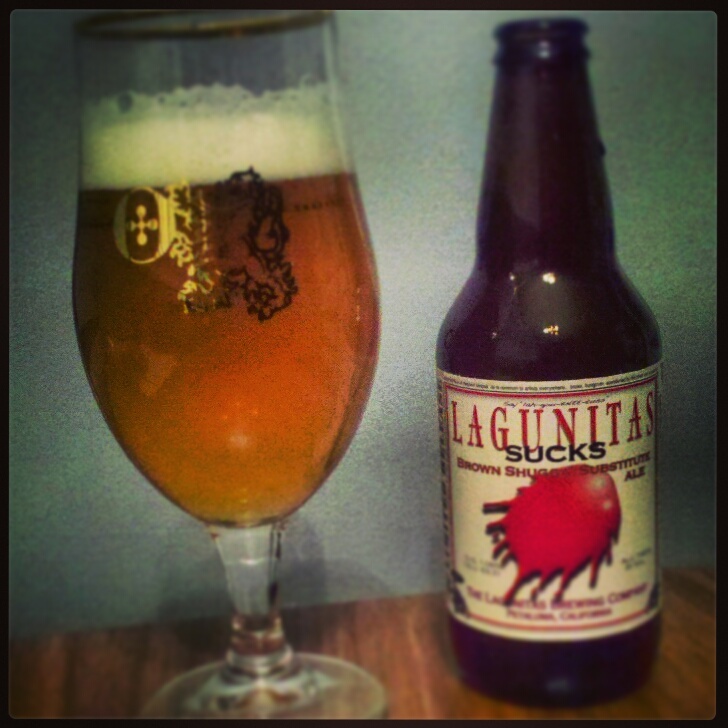 When I want hops, I want Lagunitas. It's as simple as that. Appearance: Beautiful bright copper hue, with a thick, creamy white 2-3 finger thick head. Loads of lacing on this one that sticks rather firmly to the glass. Aroma: A graefruit explosion on the nose! Load of citrus esters (grapefruit, orange peel and lemon zest). Also floral hops aromas, reminiscent of orange blossoms. Also some mild sweetness on the nose. Taste/Mouth feel: Medium bodied brew, with plenty of carbonation and a dry mouth feel. The citrus hop characters really add to the dryness of the beer, and give it an almost dry Riesling type of mouth feel. I am also getting a moderately thick mouth coating, especially on the roof of my mouth, which also rolls over my tongue toward my throat on each sip. Beautifully complex citrus notes up front, which fade slightly to allow candied fruit esters to settle in for a bit before a clean, bitter hop finish. The candied fruit esters are reminiscent of fruit esters you'd get from Belgian ales. A very complex flavor profile, as well as mouth feel.